Wow its getting hot in here! This is her second Zelda artwork featured in the LB Art Project, check out her Queen Gohma piece as well! The King Dodongo is a fire breathing giant Dinosaur / Lizard and also the boss of the second dungeon the Dodongo’s Cavern in the Legend of Zelda: Ocarina of Time. 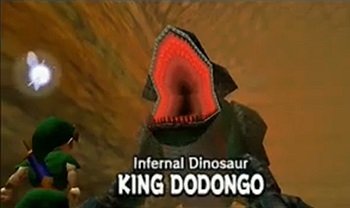 The King Dodongo breathes fire at Link and hunts him through the whole boss arena around a lava pit. Link’s only chance are either his own bombs or those from the Bomb Flowers there in the Boss Arena. 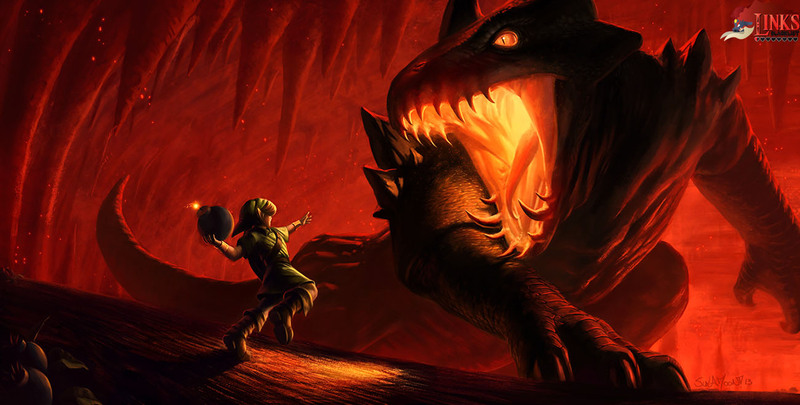 When the King Dodongo is sucking in a lot air to use it for his flame attacks, Link must be quick and throw a Bomb into Dodongo’s big mouth. If he manages that, Dodongo will faint for a while and is vulnerable to sword attacks. 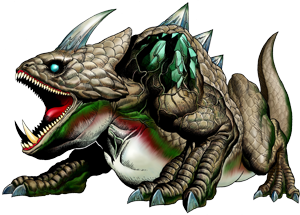 Dodongo’s are actually recurring enemies in the Legend of Zelda series and made their debut in the first Zelda already, their design changed a lot through the years though.